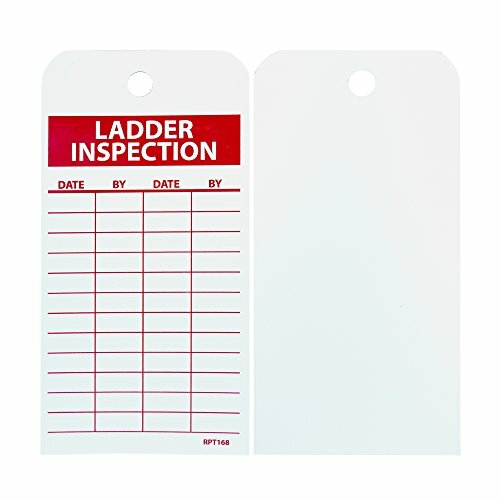 Safety tags use color and text to help reduce workplace accidents by providing safety information at specific locations. They can be used to help prevent machine operation or power activation during maintenance and repair, identify the schedule and authority responsible for a project requiring extra caution, provide inspection status, and safety instructions. Sometimes a tag's thickness will be measured in mils. One mil equals one thousandth of an inch. Blank grid has four columns with headers that read "Date," "By," "Date," and "By"